Will you need a cell booster with 5G? How will cell boosters work with 5G? Boy that is a great question. Cellular signal boosters are the perfect way to make sure you don’t lose calls or have data slowdowns. They work so well with the current generation of cell phones that a lot of people are asking if they’ll work with the next generation. A cellular signal booster is more than just a dumb amplifier. It’s a system that’s constantly monitoring incoming and outgoing cell signals and amplifying both in real time. There are so many complex calculations that go into boosting a cell signal and they have to be practically instant. Not only that, a cell booster works with multiple signals from multiple carriers on multiple frequencies, all at the same time. When 5G comes in, boosters will have to get even more complex. 5G brings two completely different frequency ranges into play. In the early days of 5G, it’s likely that cell carriers will use fairly traditional frequencies like the 600MHz band. This won’t be hard because it’s very much like the 700MHz band that cell boosters already use. 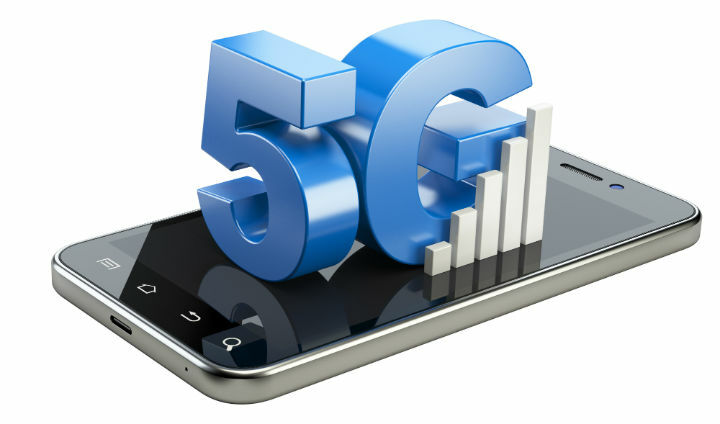 However, full implementation of 5G means using “millimeter wave” frequencies up over 28GHz. Working with such high frequencies is another whole matter. 5G will use these new frequencies because they give the opportunity for massive amounts of data to be transferred. DIRECTV Satellite uses frequencies in this range to bring thousands of HD channels to the home, for example. However, using millimeter wave technology has several challenges. While today’s cell signals can travel through walls, millimeter wave signals are blocked much more easily. (This is why the dream of a satellite dish on top of the TV never came true.) Even a strong 5G signal outside could be completely lost inside. This will create problems, but also massive opportunity for cell booster makers. Another issue with these very high frequencies is that they don’t travel well on wires. For example, when DIRECTV satellite dishes receive signals in the millimeter wave frequencies, they convert them down to the 950-2150MHz range before sending them down a wire. That may be necessary for cell boosters as well. Another option for cell boosters could be the use of fiber optic cable which is a lot more expensive than copper in longer runs. I think the reason you’re not seeing 5G phones right now is, as one of my colleagues put it, “no one wants to carry around a car battery to power their phone.” That’s probably a bit of an exaggeration but it does point out the problem. The higher the broadcast frequency, the more power it takes to broadcast it. Just putting all those waves out there so close together takes a lot of energy. One way that 5G systems will operate on relatively low power is putting towers very close together. It’s been estimated that you could potentially need towers that are about 100 feet apart rather than today when you put them about a mile apart. That means 5G implementation could be expensive. There’s a strong possibility that nearly every home and business will need some sort of cell booster to use 5G service. They could be built into an antenna system used by home-based “fixed wireless” service but no one is talking about that yet. Before we see any real movement from cell booster companies, they’ll need to work with their counterparts at the FCC to get licenses to actually use cell boosters on all the new 5G frequencies. This is a long process but I believe it’s already in the early stages. So, when real 5G phones come out the boosters will be ready. Should you put off buying a booster until 5G comes? That’s the big question, right? To me the answer is a really clear “no.” Why? Because today’s 4G/LTE boosters are going to work for you well into the next decade. Even though they won’t give you the blazing fast speeds of 5G, they’ll still give you great performance on calls and texts and they’ll provide you with years of reliable service. It doesn’t make sense to me why you would wait when you could improve your cell service now. I get it, you’re spending money and you’re potentially thinking of spending money again in a few years. How is that different from the way you buy your cell phone? Interesting question if you think about it. I’d start with looking at the great selection of weBoost products at the Solid Signal web site and choosing the one that works for you today. It will still work for you tomorrow, and when it’s time to upgrade, shop at Solid Signal again to get what you need! NICE AND EASY: Can you use a computer as a cell booster? Can you use a cell booster with an aluminum-bodied car?